The East End Bridge over the Ohio River is a cable stay bridge that consists of two 300’ tall “portal” shaped pylons. 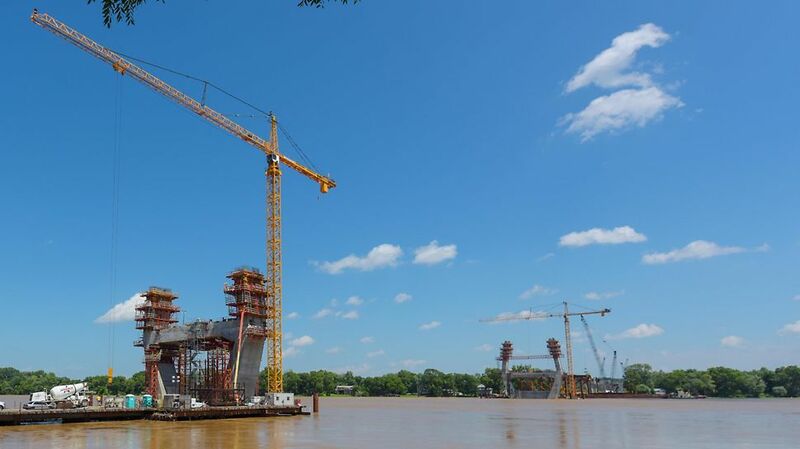 It will have a total length of 8.5 miles when all work is complete, with 1200 workers including subcontractors involved in the construction. 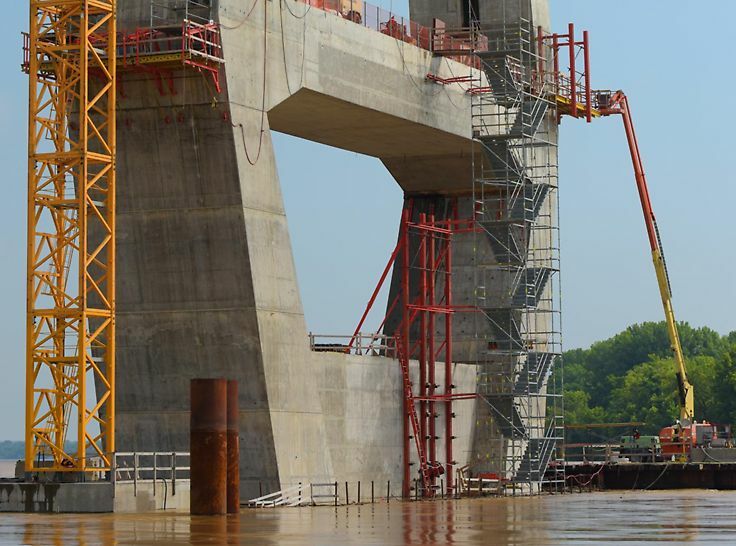 The total length of the main span across the Ohio River is 2500 ft, with 104 stay cables weighing in at 1000 tons. 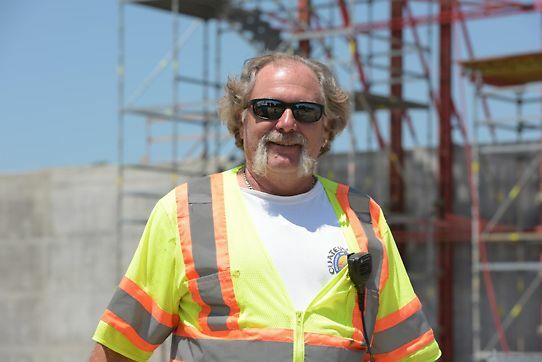 The project requires 24,000 cubic yards of structural concrete and almost 6700 tons of structural steel. Special requirements that need to be met include a Class A Concrete Finish as well as pour pressures up to 2000 psf (95 kN/m2). 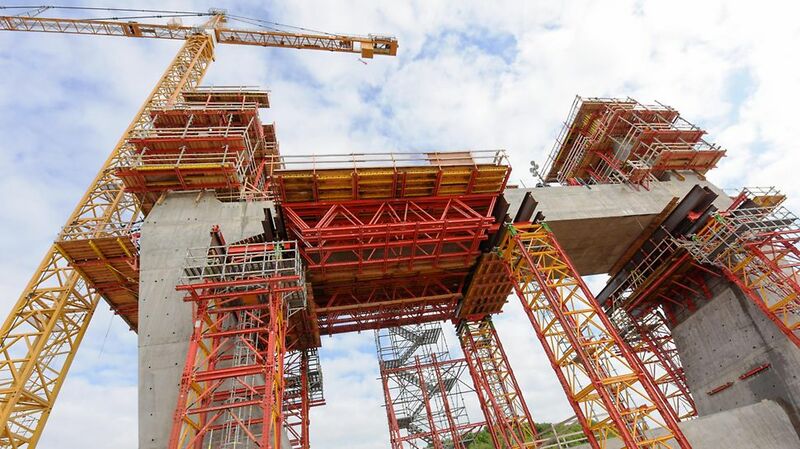 For the lower legs, PERI designed a custom material- and cycle time-saving “Leap Frog” formwork solution with custom VARIOKIT trusses and VARIO formwork, where forms and platforms leap from segment to segment. 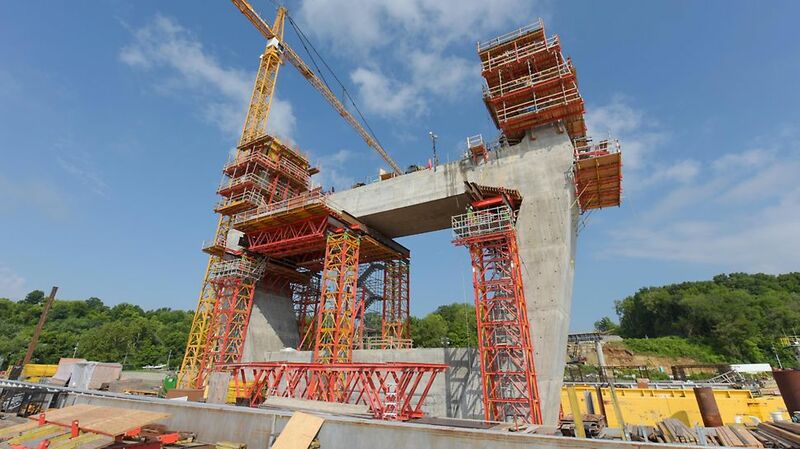 The roadway strut top slab is formed with MULTIFLEX, while the 15 segments of upper legs are climbed with ACS hydraulic climbing devices. Access to the towers is achieved by VARIOKIT access platforms and PERI UP stairs. 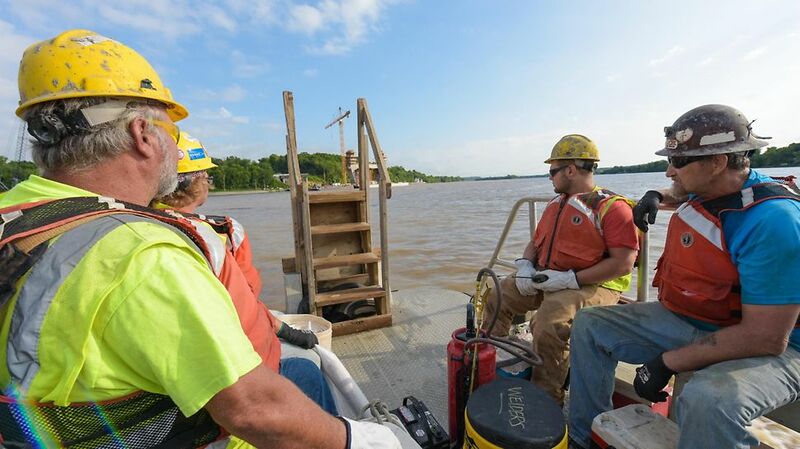 Additional challenges were presented by a hundred year flood requiring the access system to be redesigned; day and night crews are ensuring steady progress of the project.